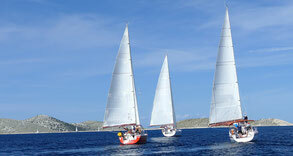 Learn to sail in Croatia! Have you never been on a boat before? Have you been crewing on other boats and now you want to become a skipper? Have you got your skipper license already, but wish to get more experience? At White Wake Sailing we have a sailing course for every level! Our sailing courses last for a full six days, and have a max of 5 students per boat! This means you get 20% more practice time than with most other schools! We sail on modern boats that are constantly maintained and regularly checked to ensure the highest safety standards! 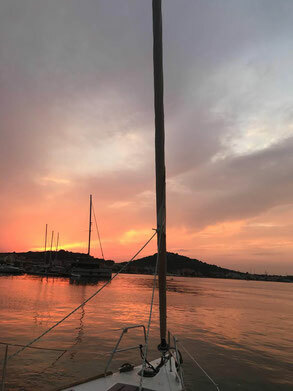 At White Wake Sailing, we are so passionate about sailing, we have made it our mission to transfer it to as many people as possible!! White Wake sailing is a RYA certified sailing school. Our shorebased centre is located in Vienna (Austria). 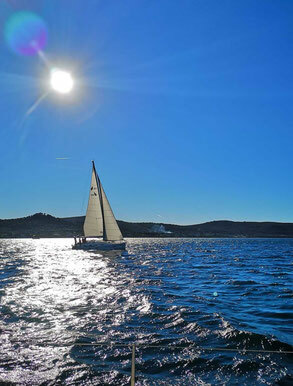 Our practice courses take place in Marina Kastela (Croatia), 15 min drive from the international airport of Split. Our instructors have sailed and taught for thousands of miles and hold the highest qualifications from the Royal Yachting Association (RYA). This is possibly the best and most respected sailing organisation in the world. At White Wake Sailing we know that learning to sail can be a bit stressful at the beginning. That is why we follow a strict 'no-shouting' policy, so you can feel comfortable and at ease right from the start. You can then learn to sail without stress and at your own pace.